Microsoft is going to release an update to their current operating system this summer. It is exciting because a lot of individuals have not been happy with Windows 8. However this update doesn’t look as promising as it could have been. This update is going to bring the start button back; it is also going to allow the user to boot into the desktop when they turn there computer on. These are the most noticeable updates that Windows Blue will include. Why doesn’t Windows Blue look that promising? Windows Blue doesn’t look that promising because the start button doesn’t bring up the original start menu. Instead it just allows the user to enter the application screen. I don’t want two different interfaces on my computer at the same time. Windows should use the application interface for their tablets and the desktop interface for their desktops and their laptops. It confuses the consumer and it is not integrated well. Will I be updating to Windows Blue when it comes out this summer? Yes, I will be updating to Windows Blue when it is released this summer. Some of the features are a step in the right direction. I am glad that Microsoft is allowing the user to boot right up to the desktop. Another feature that I am looking forward to is the ability to snap three applications together all in the same window. 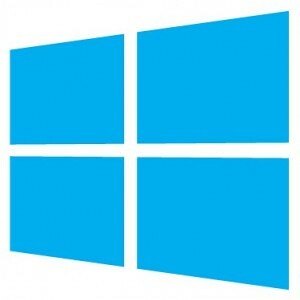 If you are a Windows 8 user you should definitely update to Windows Blue when it is released. Just don’t expect anything revolutionary in Windows Blue. Next Next post: Would you wear Google Glasses?